The website is dedicated to the work of multi-disciplined First Nation storyteller and artist, Jeremy Proulx. "...bursts with an emotional power guaranteed to haunt you." Jeremy Proulx is an award-winning actor and multi-disciplined (actor, writer, filmmaker) First Nation artist of Anishinaabe (Ojibwe) and Haudenosaunee (Oneida) descent originally from the community of Neyaashiinigmiing, simply translated from Ojibwe as "point of land surrounded on three sides by water". He has been based in the city of Toronto for the past decade but has also worked, taught and performed all across various parts of Canada and the United States. His acting career has also taken him globally to such countries as Brazil, United Kingdom, Poland, Italy, Macedonia and Greece. 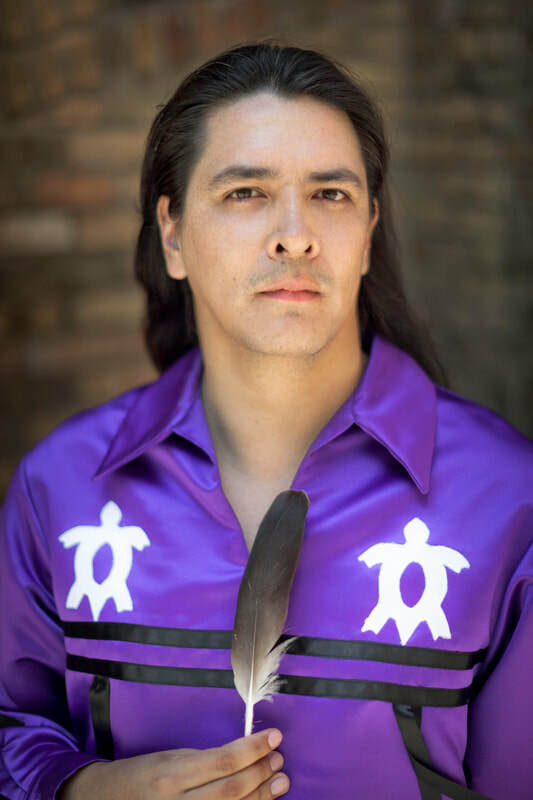 Jeremy is a proud member of the Canadian Actors' Equity Association (CAEA) and holds both a Bachelor of Fine Arts with Honours in Film from York University and certificate of professional theatre training from the Centre for Indigenous Theatre's full-time conservatory program. He is a former Artistic Associate with Belarus Free Theatre and Artistic Director of ab-ORIGINAL Productions. Favorite theatre credits: BONES: An Aboriginal Dance Opera, An Aboriginal Journey with Brecht, Miinigooweziwin...The Gift and From the Aztlan to the Zocalo (Banff Centre), The Ecstasy of Rita Joe (Western Canada Theatre and the National Arts Centre), King Lear (National Arts Centre) and Where the Blood Mixes (Teesri Duniya Theatre), Only Drunks and Children Tell The Truth (Magnus Theatre). International credits: Red Forest (The Young Vic in London, UK; Teatro Vascello in Rome, Italy and Teatro Ermanno Fabbi in Modena, Italy) for Belarus Free Theatre and the MOT International Theatre Festival in Skopje, Macedonia, One Flew Over the Cuckoo’s Nest (Alliance Theatre in Atlanta, GA) for which he won a BroadwayWorld.com award for Best Actor in a Play. The following year, Jeremy reprised his award-winning performance as Chief Bromden in an entirely new production with the Cardinal Stage Company in Bloomington, Indiana and most recently premiered the role internationally in the United Kingdom to great critical acclaim with Sheffield Theatres. Select television/film credits: feature documentary "Just Another Dead Indian" for Thunderbird Productions, TV documentary "Along the Wabash" produced and directed by Susanne Schwibs and the short film "In the Beginning was Water and Sky" directed by Genie-nominated writer/director, Ryan Ward, for Heart Shaped Movies. Jeremy was last seen performing with Magnus Theatre in their production of A Christmas Carol, portraying six different characters including Fred Scrooge, Jacob Marley and Mr. Fezziwig. Upcoming theatre: The world-premiere production of Crazy Dave Goes To Town (ARTS&SCIENCE) written by Daniel David Moses and adapted from the book "Crazy Dave" by late author, Basil Johnston. Jeremy is pleased to announce that he has begun writing his second play "Fallen Feathers" (Working Title) that deals with the history of missing and murdered First Nation youth in Canada, specifically within the area of Thunder Bay and Fort William First Nation. The play will tackle the growing problem of the systemic racism that exists and continues to deeply plague the northern community. Jeremy's hope is that the play will bring much needed attention to Canada's turbulent relationship with Indigenous Peoples in terms of reconciliation as well as the deeper issues effecting First Nation youth including displacement and racism. The story will also center around the connection to land and mythology of the Sleeping Giant (pictured above) located within the community. Stay tuned to Jeremy's website for more updates on the developments of this new and powerful script! A special miigwetch/thank you to both Native Earth Performing Arts (NEPA) and the Ontario Arts Council's (OAC) Recommender Grant for Theatre Creators for their continued support with the development of this new play!